Villagers in Nigeria have stormed and seized three Shell oil platforms in the Niger Delta. 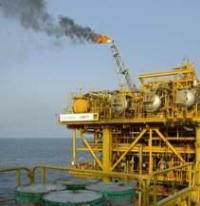 A spokesman for Royal Dutch Shell PLC said the seizures have forced oil production to be shut down at the platforms. Officials, however, declined to say how much oil had been cut off after the platforms were attacked. Shell said in statement that members of the Kula community living near Shell's Ekulama 1, Ekulama 2 and Belema oil pumping stations invaded the facilities on Wednesday, accusing the oil company of failing to meet the terms of an agreement to provide them aid. "We had to shut the facilities," the statement said, giving no other details. Femi Odumabo, a spokesman for Chevron in Nigeria, said his company has shut down its Robertkiri platform in the same area after protesters took over the Shell installations. "Our action was pre-emptive. We shut down because we didnt want them to take over our facility," Odumabo said. Despite sitting atop much of Nigeria's oil reserves the inhabitants of the southern oil region remain among the most impoverished in the country. With little or no influence on the government they frequently turn to oil companies who run joint ventures with the Nigerian state with demands for jobs, schools and electricity. Over the last decade, villagers have often stormed oil facilities to protest against oil companies they believe are taking wealth from their land and giving little back. Most such seizures have ended peacefully. This year, armed militia groups who claim to be fighting for similar causes have increased attacks on oil installations and seized foreign oil workers as hostages either for ransom or to back demands for more local control of oil wealth. Attacks by armed militants in Nigeria's oil region have cut more than a quarter of the country's oil exports since the beginning of this year. Nigeria is Africa's biggest oil producer and the fifth-biggest source of US oil imports, exporting an average of 2.5 million barrels a day.